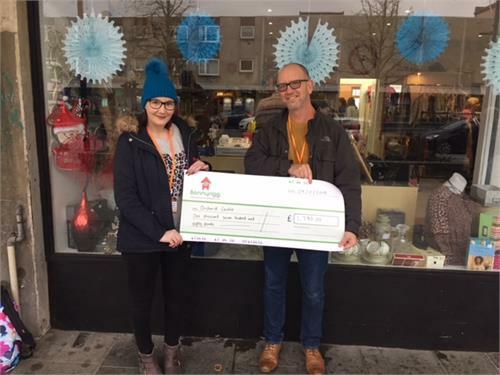 Our Senior Project Worker Phil and volunteer Lauren accepted a cheque from The Bonnyrigg and Sherwood Development Trust for £1,780. The funding means we can start a new community based Midlothian Women's Group and that our Support From Home team can run activities that will bring people together who are lonely or isolated. We are very grateful to our funders. For further information about the new Women's Group contact Gwen or Karen on 0131 663 1616. Further information about our Support From Home service can be found here.